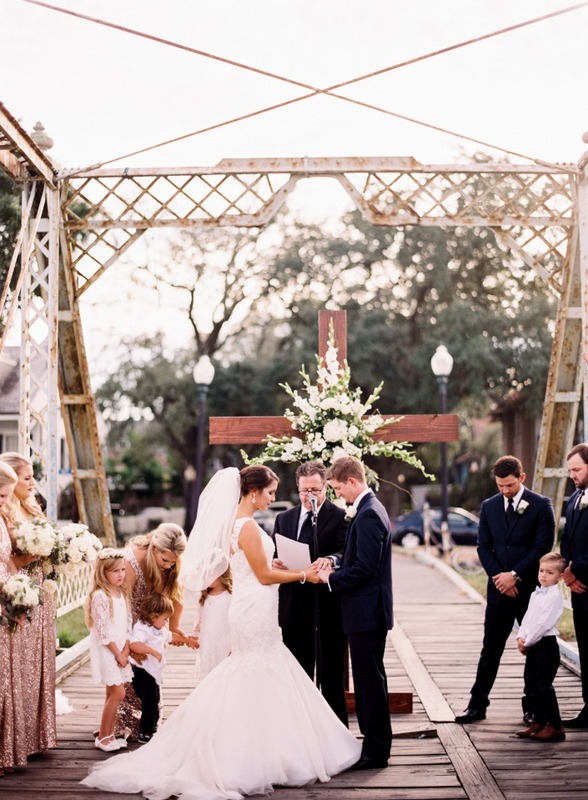 This may just be our very first bridge ceremony, and we’re loving how romantic it all turned out. 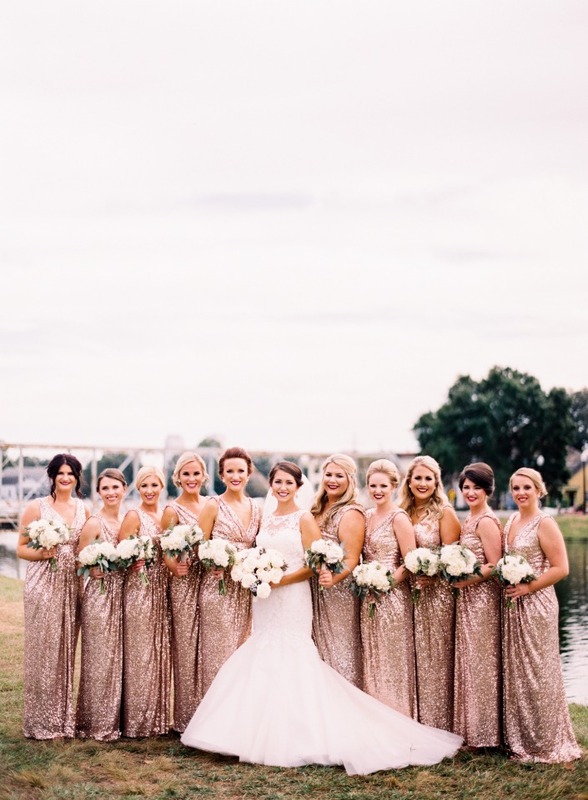 Sam and Jason’s outdoor ceremony was as pretty as can be over the Bayou St. John in New Orleans with a large wooden cross + floral backdrop and their bridal party of 20 in sparkly rose gold and navy. 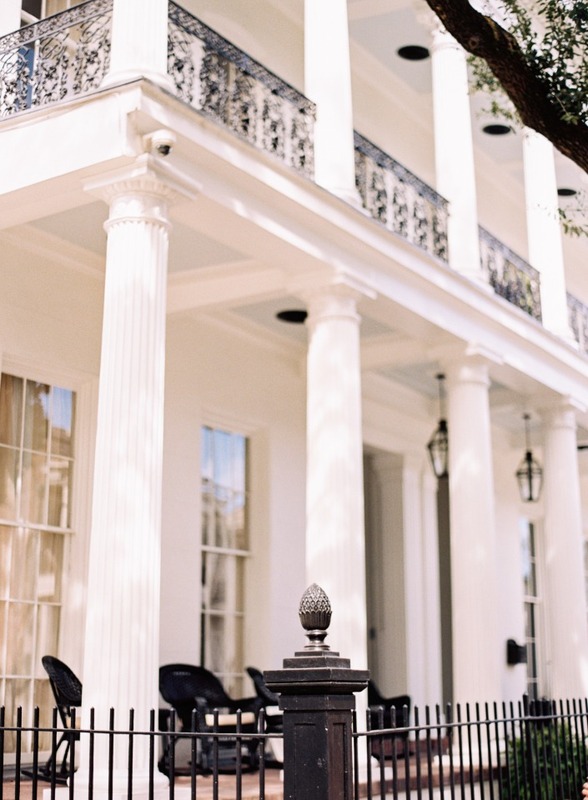 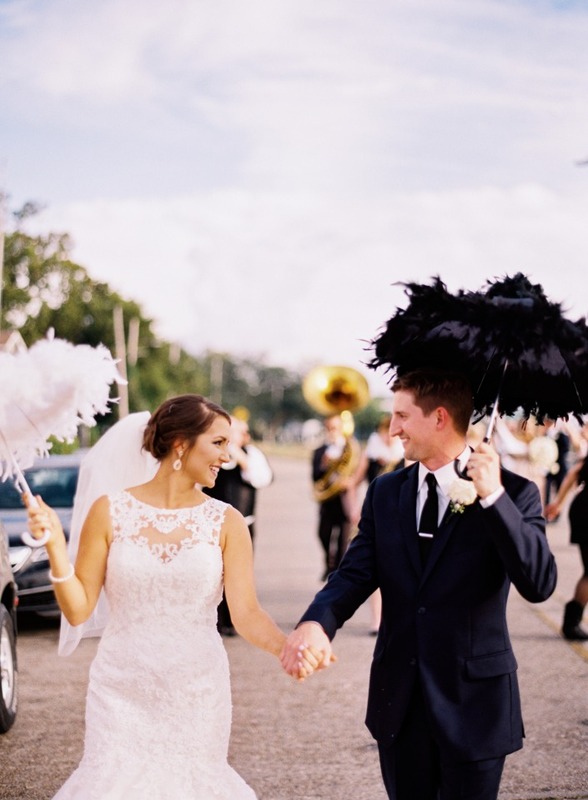 The local sounds and flavors of Louisiana were infused throughout their reception at the historic Pitot House, which included a wedding parade and their very on Mardi Gras King cake. 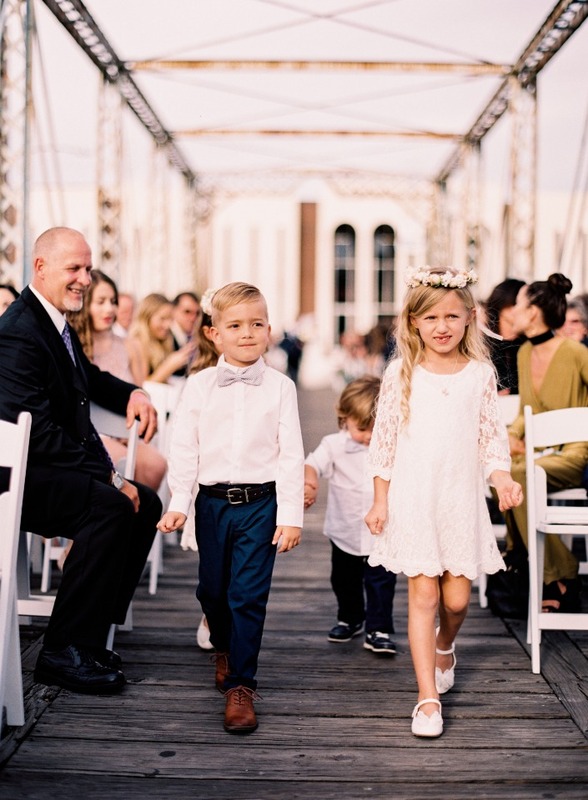 Don’t miss a moment of this festive day captured by Marissa Lambert Photography in the full gallery here. 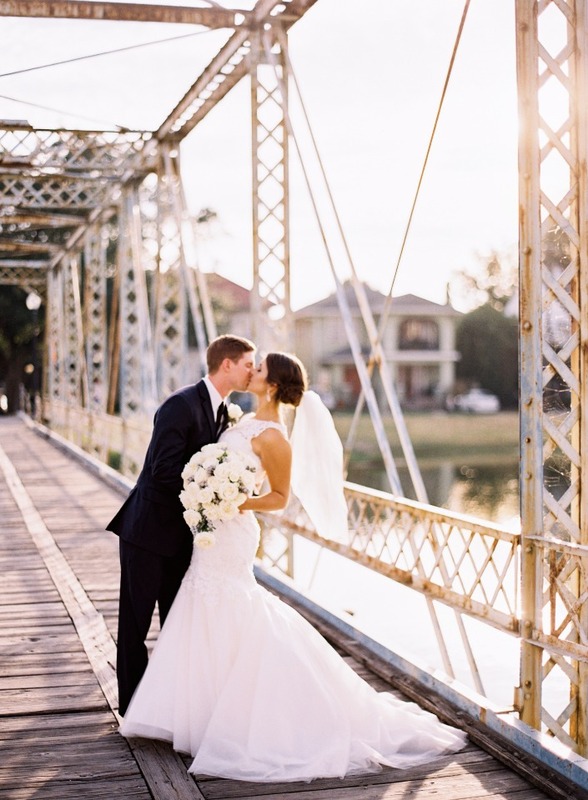 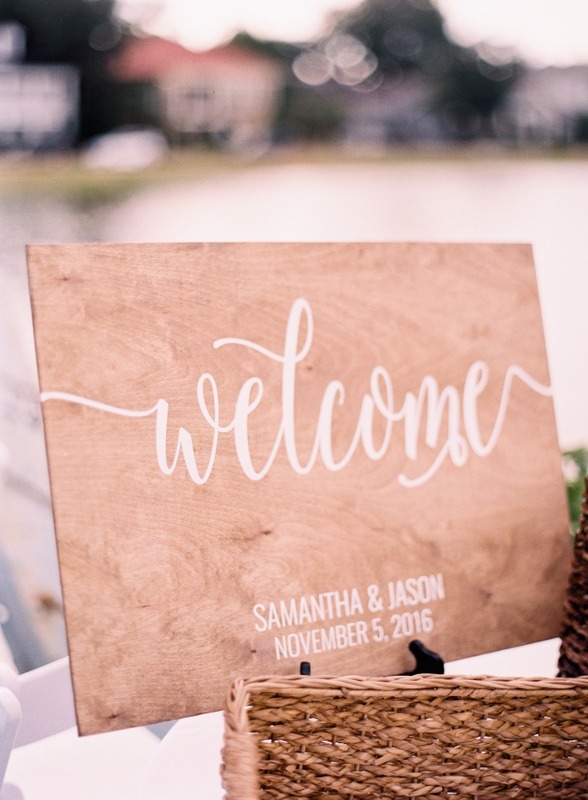 From Alchemy Events, LLC: Sam and Jason got married on a bridge over Bayou St. John in New Orleans on November 5, 2016. 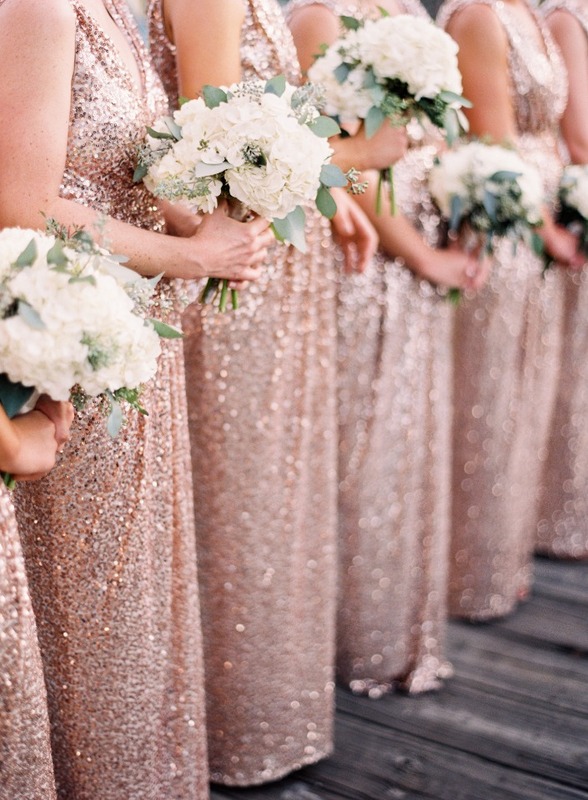 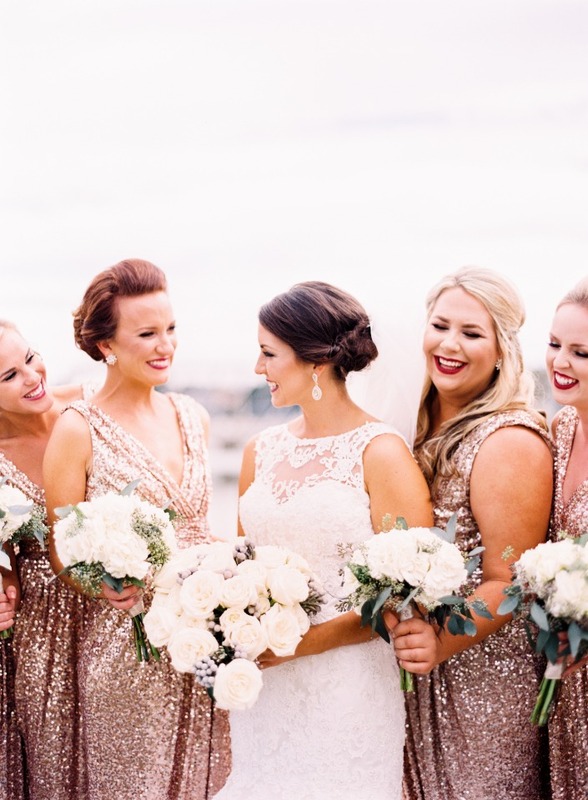 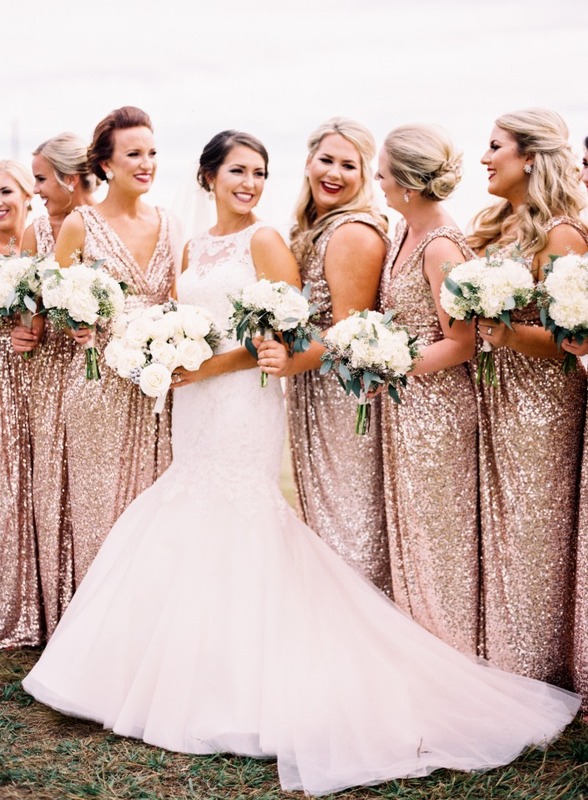 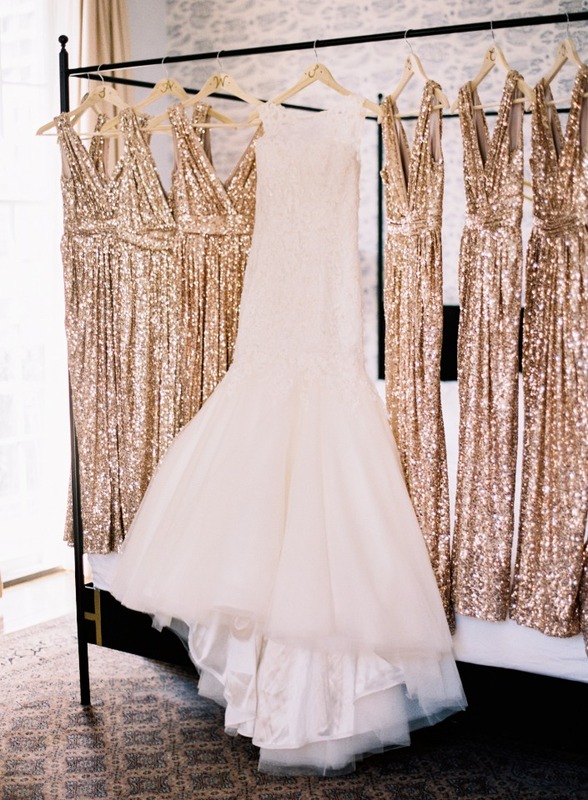 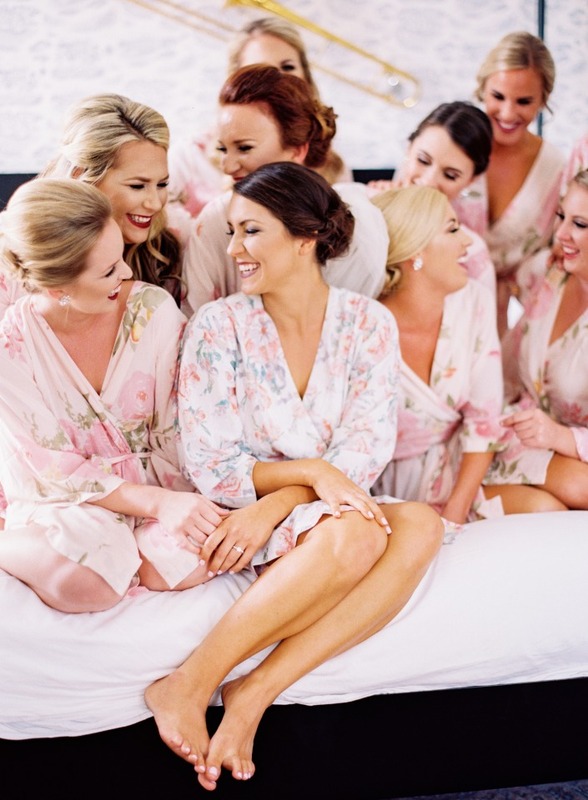 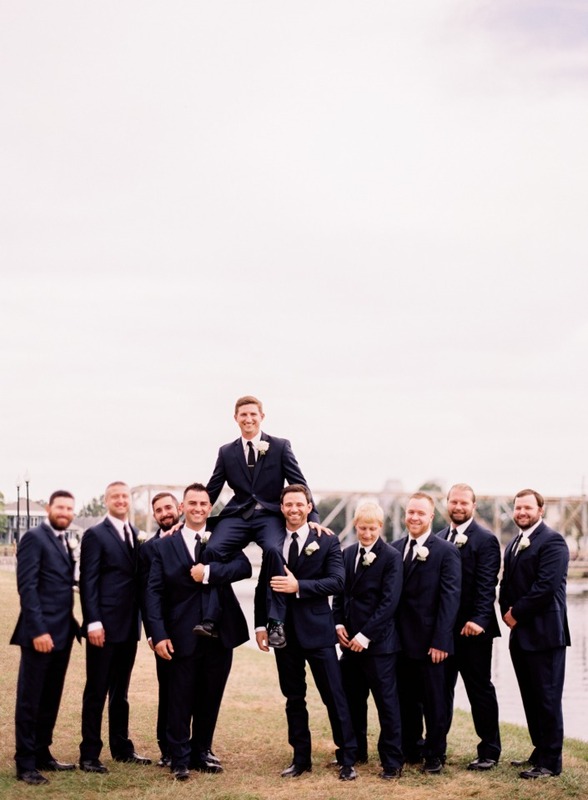 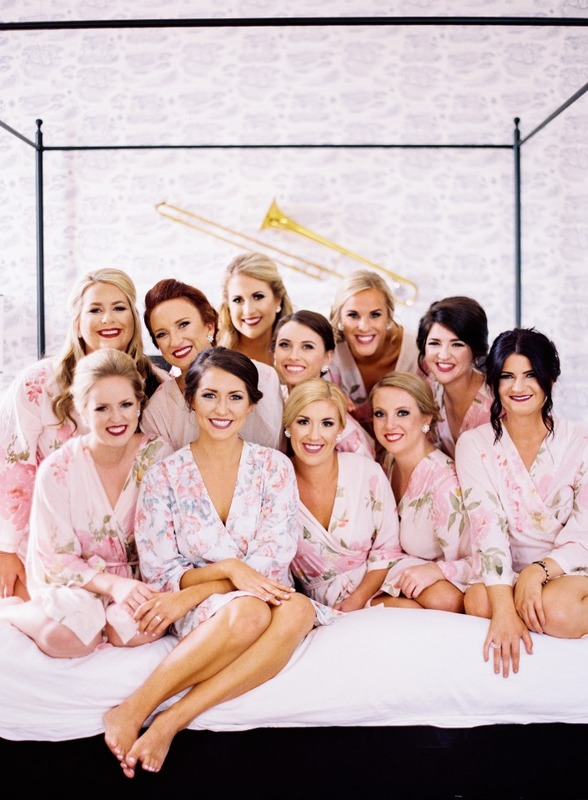 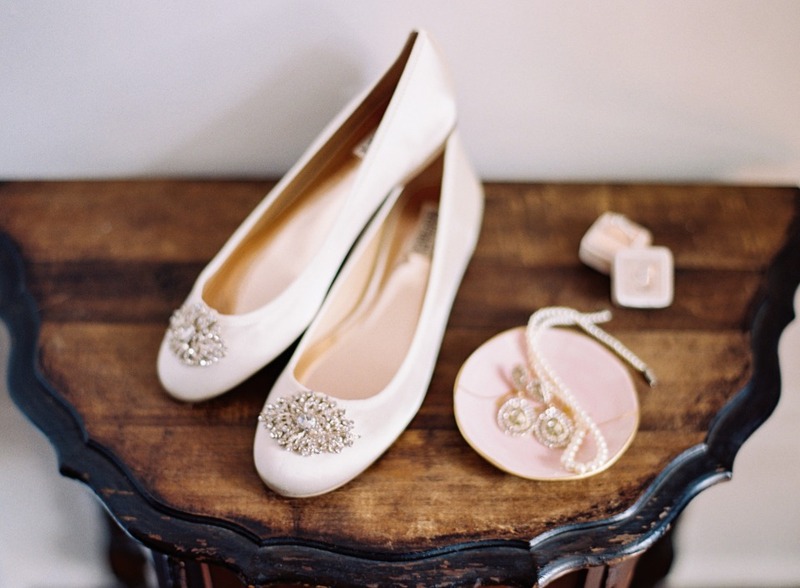 Their large bridal party of 10 each wore rose gold sequin gowns & navy blue suits. 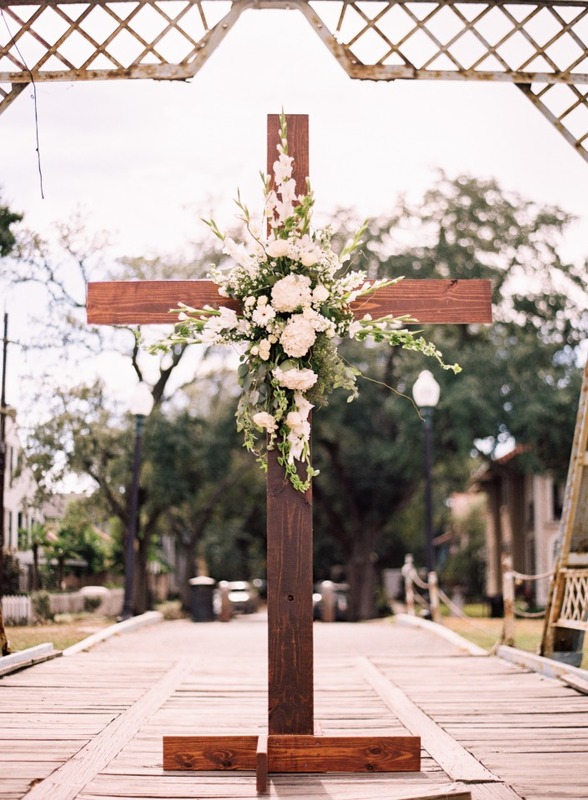 The alter for the ceremony was a wooden cross that was hand built by a family friend specifically for them and adorned in a spray of white flowers. 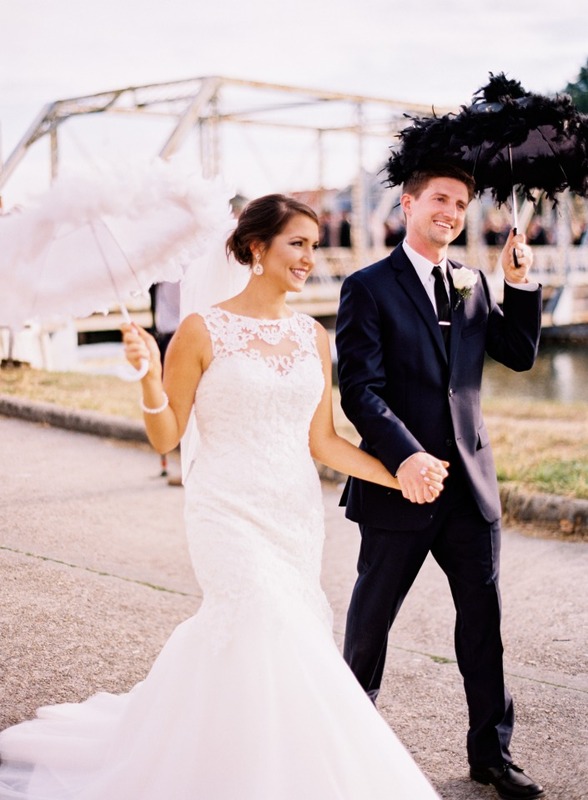 They did a second line down the aisle and up the street to their reception venue, the historic Pitot House. 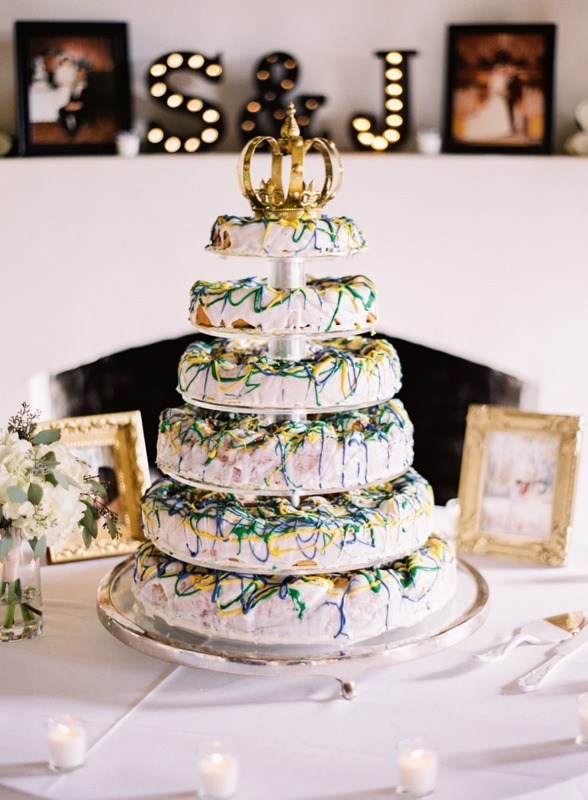 Their stunning wedding cake was a traditional Mardi Gras king cake and their bar featured local beer such as Abita as well as koozies with the state of Louisiana on them. 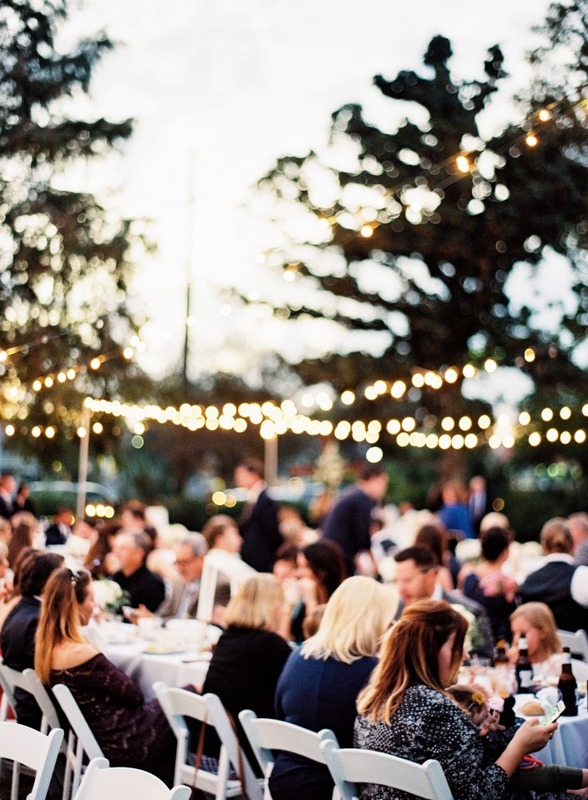 Lights were strung across the lawn over rows of long guest tables. 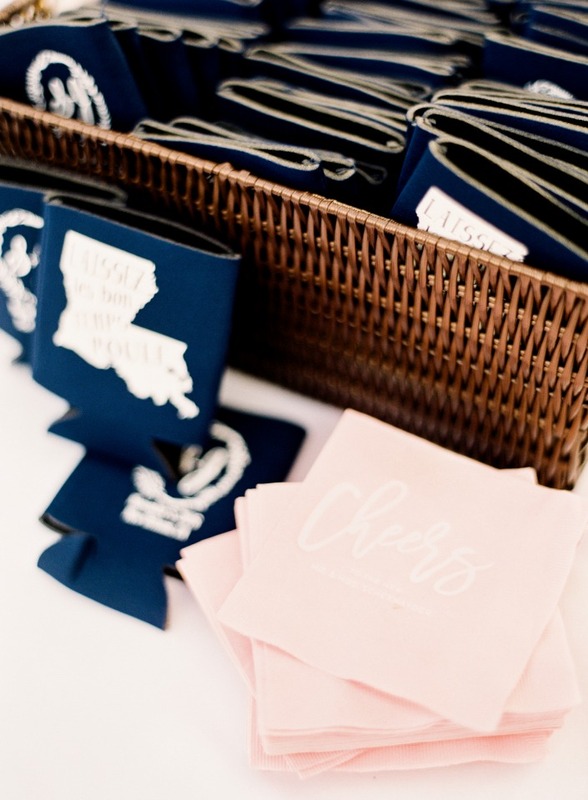 The menu featured local cuisine such as oysters rockefeller, gumbo and jambalaya. 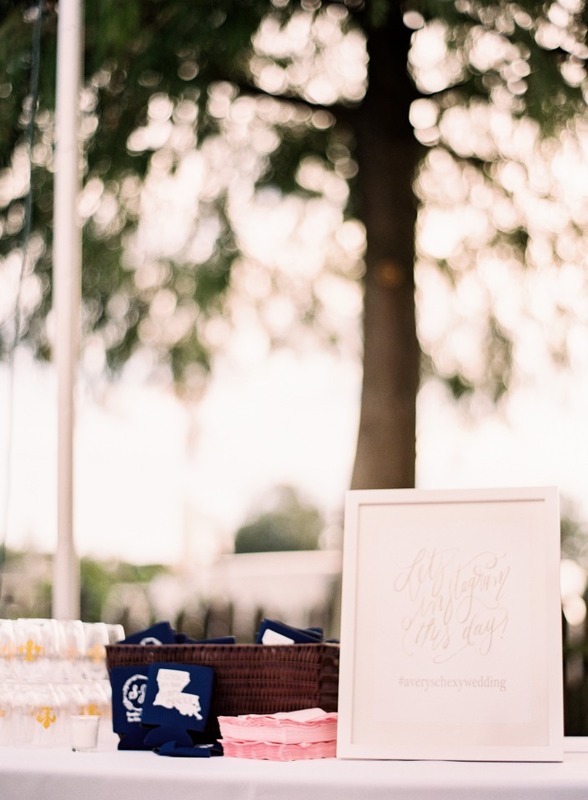 To end the evening, servers passed coffee and bite sized beignets to guests before the sendoff. 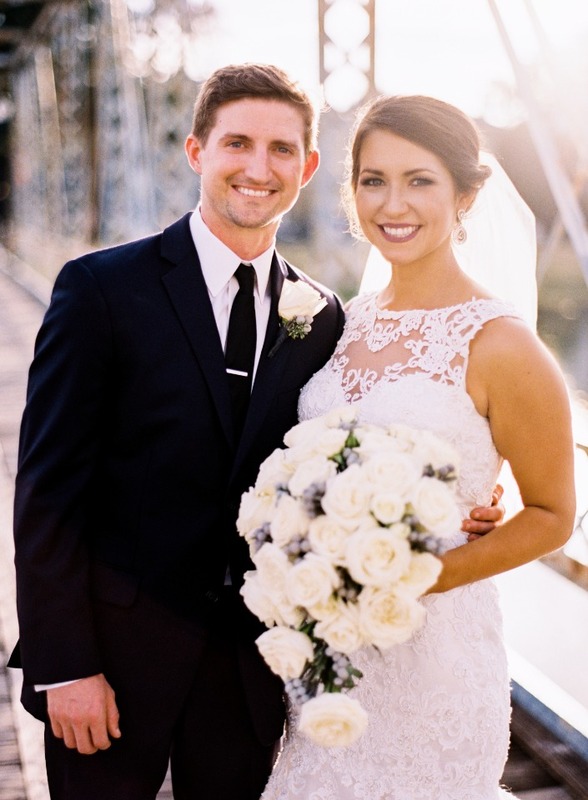 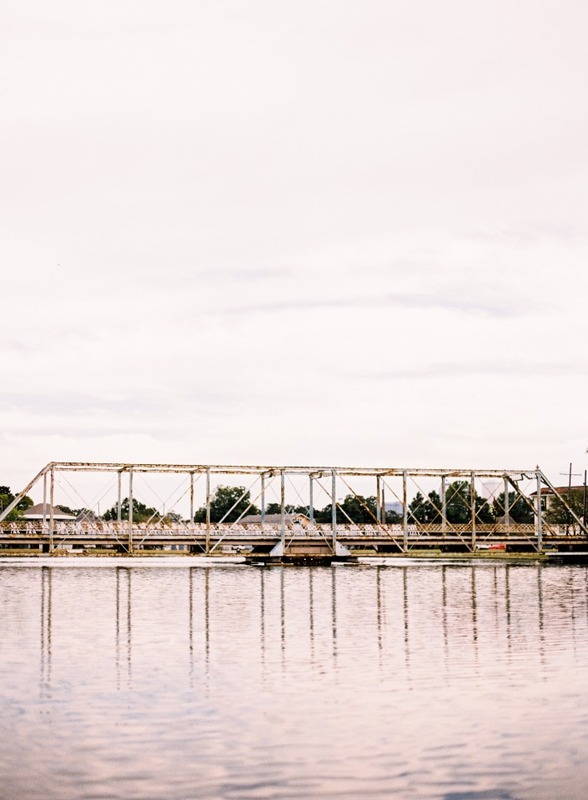 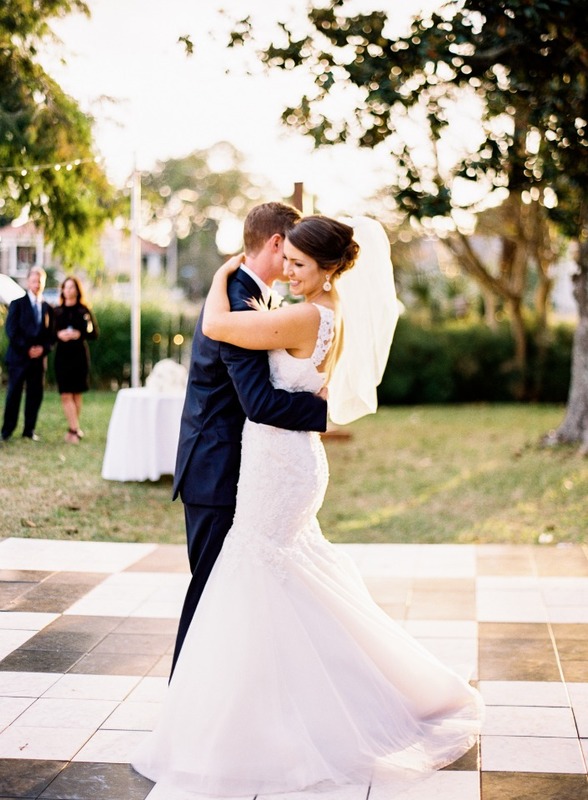 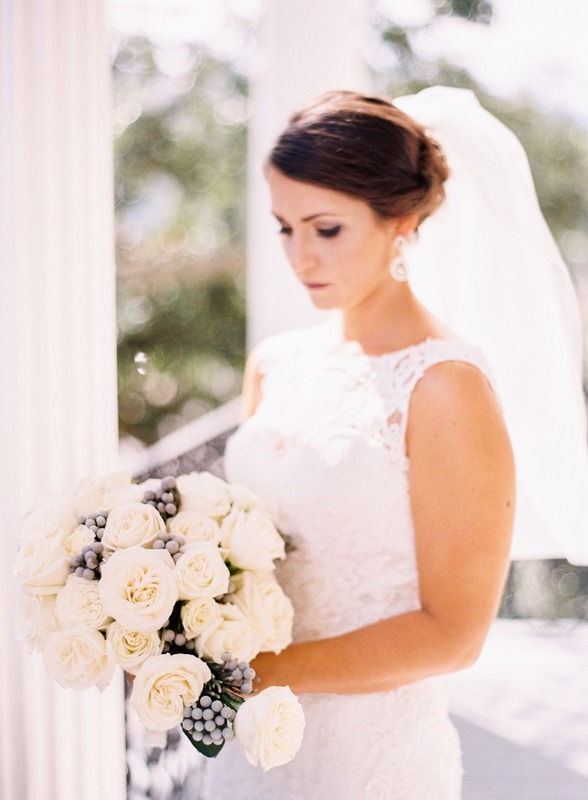 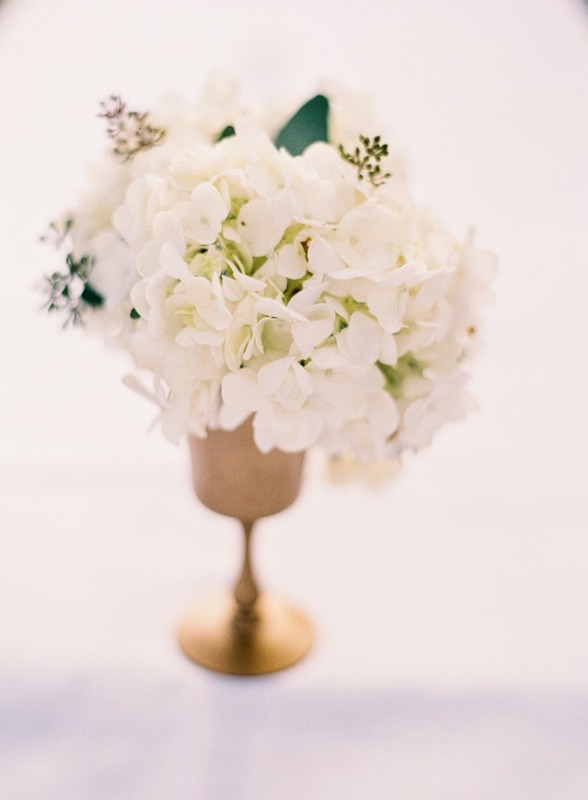 Get a closer look at this elegant wedding on a bridge by watching the fabulous film created by Marissa Lambert Photography below.